This No Soda Root Beer Cupcakes and Frosting is easy because it starts with a boxed mix and gets some outrageous flavor from LorAnn Root Beer flavoring oil. Disclosure: I received free product for purposes of reviewing. However, all opinions are my own. #sponsored. I love the delicious flavor root beer adds to a recipe, but I didn’t really want my kiddos to have sugary soda in their cupcakes – I mean, it’s enough they’re having cupcakes, right? 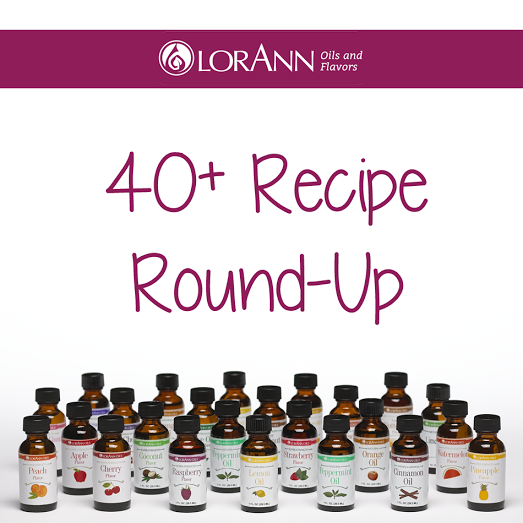 I developed this No Soda Root Beer Cupcakes and Frosting recipe using the LorAnn Oils Root Beer Flavor. It’s similar to an extract, but a bit stronger – in fact 3 to 4 times stronger – so much so that the first attempt ended up with a frosting that was waaaaay to “bicy” (spicy) as my daughter would say! You need only about a quarter of the flavoring oil as you would need an extract, so it’s a really great value. Plus, the oils are gluten-free and Kosher certified. Now when I say I developed this recipe, I should be more specific and say I really developed the frosting recipe. Confession: I used a doctored up boxed cake mis! GASP! Ok, so it’s no secret that I often bake with boxed mixes. Let’s face it, life is busy and I’ll take all the shortcuts I can. When it comes right down to it, I’d rather spend extra time with my family, then baking from scratch. But, that doesn’t mean we’re skimping on taste. My friends know that I always say you can get away with boxed cake mixes all day long if you make the frosting from scratch – which is a cinch! Sweet delicious shortcut root beer cupcakes with homemade root beer frosting - the root beer oil adds a wonderful flavor and rich caramel color! Follow the instructions on the box to prepare the cake mix. Add in the root beer flavor with the eggs. Pour into cupcake papers or greased muffin tins and bake according to the directions on the box. 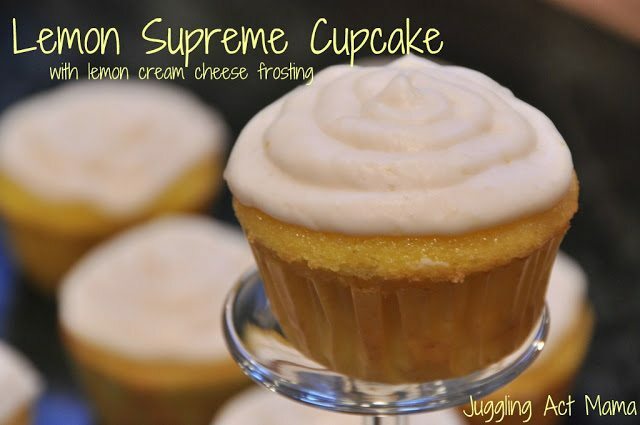 While the cupcakes cool, remove the butter and cream cheese from the refrigerator to soften. In a large mixing bowl, beat the butter and cream cheese until combined and soft. Add in about half the powdered sugar and 1 tablespoon of milk. Beat on low until combined. Add the remaining powdered sugar and again beat slowly. Add additional milk 1 teaspoon at a time until you have the desired consistency. For piping, I generally like a stiffer frosting. Insert your desired tip into your piping bag and then fill with the frosting. Be sure the cupcakes are completely cool before frosting. I love the cream cheese in this frosting, which softens the sweetness and adds some creaminess to the texture. 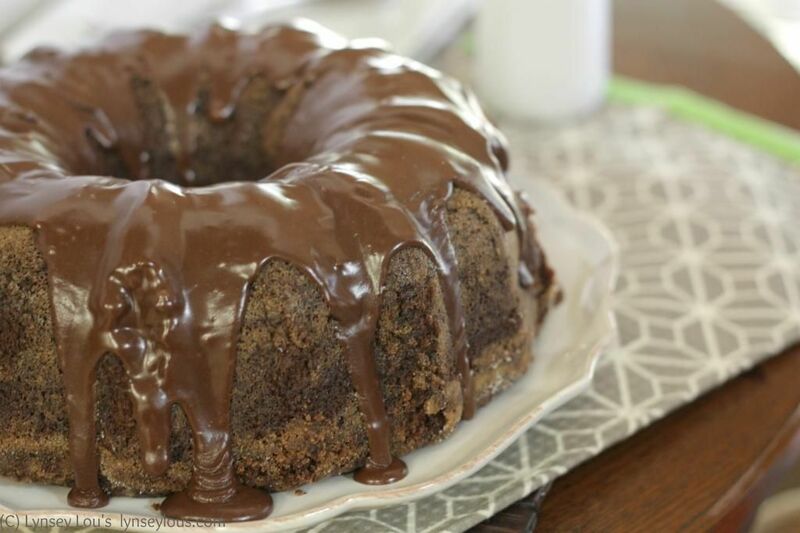 The root beer oil adds both flavor and a beautiful caramel color to the cake and frosting. You can get creative when decorating these – I added some root beer barrel candies and fun paper straws (cut in half). This thoroughly confused my 3-year-old who wanted to know why we needed to drink our cupcakes! You’re whole family is going to love these, and you can relax because there’s no extra chemicals and sugar from the soda. Sometimes, you just need to make small changes, be grateful for the time with your loved ones, and savor some delicious ‘semi-homemade’ cupcakes! Want more quick semi-homemade cupcakes recipes? PS – I love this photo because it shows just how far my cooking skills have come in two years – notice the difference in the thin frosting and the blah piping? Love it! Especially the frosting!! Root beer flavor? How creative! These look awesome. These look amazing! I love that you topped off each one with a root beer barrel! You know, truth is, I love baking with boxed cake mixes! They are such a time saver and so versatile. Love you flavor choice! Love this flavor combo! They came out wonderfully.